Do [11C]choline PET/CT scan data change clinical decision-making? The practical value of any type of diagnostic and prognostic technology can only really be assessed in the context of whether the data generated by that technology change the way that physicians treat (or make recommendations about treatment for) individual patients. In a paper by Ceci et al., published in August, a joint Italian-German research team looked at this question with respect to the value of [11C]choline PET/CT scanning. Using data from 150 patients with recurrent prostate cancer after radical therapy, all treated in Bologna, Italy (n = 95) and Würzburg, Germany (n = 55), the authors examined the clinical impact of [11C]choline PET/CT scanning on upcoming management decisions. Patients had an average (mean) PSA level of 4.3 ± 5.5 ng/ml (range, 0.2 to 39.4 ng/ml). Palliative androgen deprivation therapy (ADT) in 55 patients. [11C]choline PET/CT scans were positive in 109/150 patients (72.7 percent). Local relapse — in the prostate bed and/or iliac lymph nodes and/or pararectal lymph nodes — was observed in 64/150 patients patients (42.7 percent). Distant relapse — in the paraaortic and/or retroperitoneal lymph nodes and/or bone lesions — was observed in 31/150 patients (20.7 percent). Local and distant relapse were observed together in 14/150 patients (9.3 percent). Changes in therapy were implemented in 70/150 patients (46.7 percent). 27/150 patients (18.0 percent) had a major change in their therapeutic approach. 43/150 patients (28.7 percent) had a minor change in their therapeutic strategy. No change in therapy was proposed for 80/150 patients (53.3 percent). PSA level, PSA doubling time, and ongoing ADT were all significant predictors of a positive scan (p < 0.05). There were no significant differences between the patients from the two different centers (p > 0.05). The same follow-up criteria were used to validate CT/PET-positive findings at both centers. Ceci et al. conclude that the use of [11C]choline PET/CT scanning did indeed have a significant impact on therapeutic management in patients with recurrent prostate cancer post-surgery. However, they also note that their data are based on a retrospective analysis of data from their two institutions, and that prospective studies would be necessary to tell whether the effects of such treatment changes have impact on long-term patient survival. This study looks great until we note the mean PSA level at time of scan of 4.3 ± 5.5 ng/ml (range, 0.2 to 39.4 ng/ml). Without seeing more information on the actual distribution of the initial PSA levels, as well as the time lapse between radical prostatectomy and the C-11 scan, I suggest these results are not meaningful. In this country, adjuvant and/or salvage intervention is likely to occur well before the PSA reaches a mean level of 4.3 post-surgery. At that level, we would expect metastasis somewhere, and the first place to look is in the lymph system. If the mean PSA level was 4.3 while the median was under 1.0, then I would be far more impressed — and that may be the case with a maximum as high as 39. On the other hand, if the median was close to the mean, I would venture to say they could probably have run a bone scan and found something in quite a few of these men … and that would have been a good control for the C-11 protocol. I am speaking with two men right now debating intervention and considering a C-11 PET/CT scan; they both have post-op PSAs below 0.3, one well below. What I do not know is at what PSA level we can expect a C-11 or F-18 scan to reveal metastasis. The traditional PET scan definitely requires a higher PSA to be relevant. 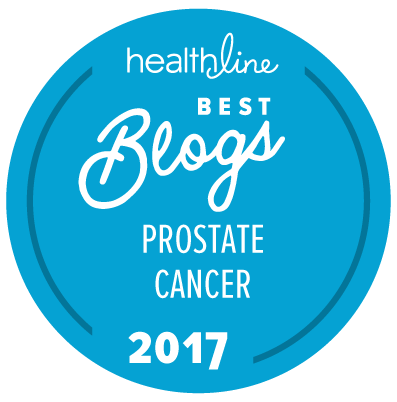 The team at the Mayo Clinic won’t even consider doing an [11C]choline PET/CT scan on any prostate cancer patient until the PSA level is 0.2 ng/ml or higher. Futhermore, there are published data suggesting strongly that a [11C]choline PET/CT scan is significantly better at identification of metastatic disease than a traditional bone scan, and I would not agree with you that most men with a PSA of 50 or less would necessarily have a metastasis that was evident on a traditional bone scan. Some might, but not most. In other words, I don’t think that running a traditional bone scan on most of these men would have found anything at all. While you are correct that most men with recurrent disease in this country today would be looking for some type of intervention at a PSA level of less than 1.0 ng/ml, that doesn’t negate the value of this study, which is that the finding (or non-finding) of prostate cancer through the use of a [11C]choline PET/CT scan does lead to a change in the way patients get treated.